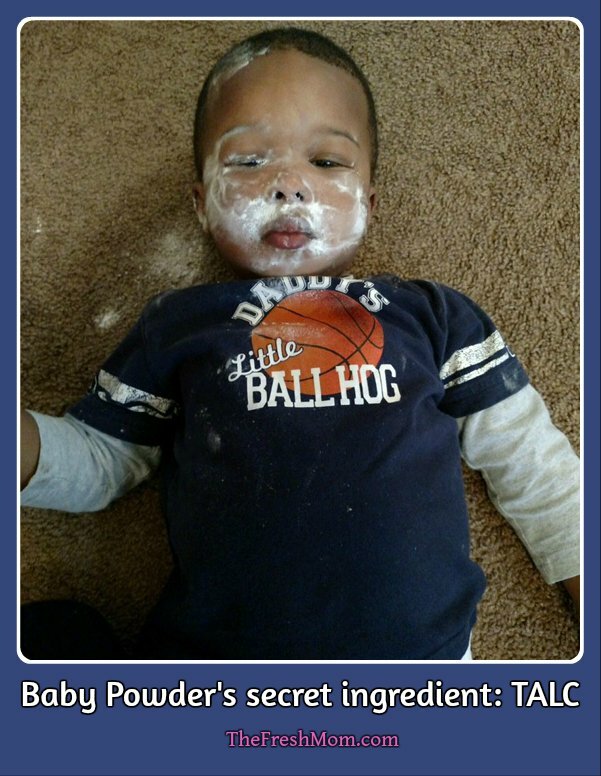 Ever since my mother-in-law warned me against using regular baby powder, I’ve wondered why the more dangerous powder even exists. It just doesn’t make sense to me. In its natural form, some talc contains asbestos, a substance known to cause cancers in and around the lungs when inhaled (see our document Asbestos). All talcum products used in homes in the United States have been asbestos-free since the 1970s. Remember to buy Pure Cornstarch! Check the back of the bottle for the detailed ingredients. See picture below for an easy guide. If you want an even more natural option, try The Honest Company’s, Organic baby powder. It’s only a whopping $11.95 lol.